I know it sounds weird, but that’s exactly what it is – a weekend retreat named for a beer. Here’s how it all got started. Every year, my large extended family gathers at Thanksgiving. We actually call it Thanxmas, because we celebrate both Thanksgiving and Christmas at the same time. We multi-task so we are free to spend Christmas week with our individual families or in-laws. Anyway, back in 2004, we were all being thankful in Sister #4’s back yard in Garland, Texas with our usual family tradition – one-handed croquet. Leave it to us to make croquet a drinking game, right? Rules require that you must have a drink in one hand at all times, and said drink glass must contain a beverage at all times or penalty shots will be incurred. To make a long story less painful, Big Sister #1 was penalized heavily that night, and her beverage at the time was Hoegaarden Beer. She was new to Hoegaarden, and let’s just say it hit her a little hard. Every time someone sent a croquet ball into vegetation, she would say in a slushy sing-song voice, “Welcome to the Hoegarden!” and giggle profusely. Shortly after that we decided to hold an annual “girls only” estrogen festival, and Hoegarden emerged as front runner in the naming contest. We dreamed of weekend escapes that would include lots of giggly girly fun and one-handed croquet in a testosterone-free environment. 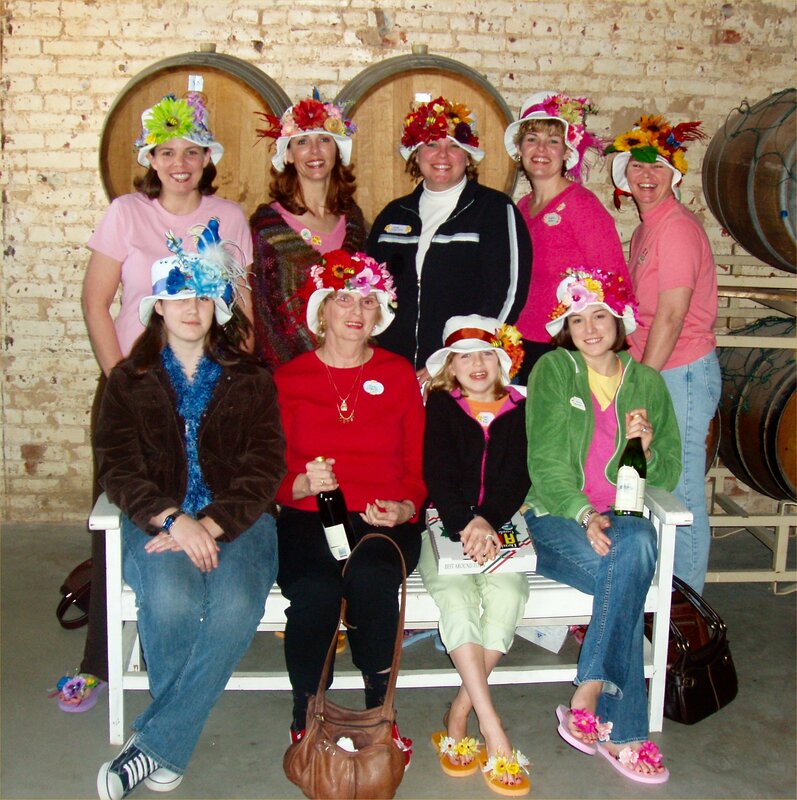 We launched our first Hoegarden Weekend in March 2005, and have kept it going and growing since. Even though we limit it to female family members, that now includes eleven of us from four generations. Because of that, Big Sister #1 hosts each year. For one thing, her house is big enough to hold us all, and she lives near Dallas, which is geographically central for all of us (we’re spread out from Tulsa to Fort Smith to Houston to Austin). Her husband, Saint David, is kind enough to vacate (or escape) with their two sons while we party. We have encouraged the men to retaliate with a “Brogarden” weekend but so far, it’s a no-go. Hoegarden is filled with food, crafts, spa treatments, food, chocolate, family favorites, more food, some alcohol, funny family photos, board games and food. We choose a different theme each year and plan meals, deocrations and craft ideas around that theme. Our first year was simply “Welcome to the Hoegarden” and we took the garden theme to the max. 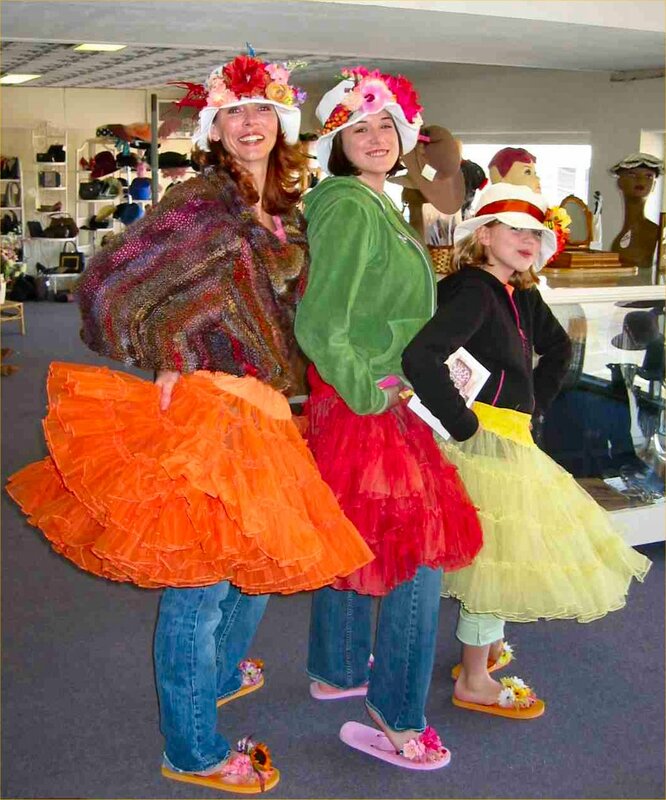 We each created custom flowered hats and flipflops to wear antique shopping on Saturday. We have a lot of fun when we all go out shopping on Saturdays. We’re that large fun group that walks in a pack and can be heard laughing down the block. Larger shops love us. I think smaller antique shops full of old glass get a little nervous. We spend Saturday shopping and eating lunch out, then come home to make family favorites for dinner, share spa treatments and make-overs and play boardgames to disco music until late in the night. I’ll share more photos later from “Extreme Make-Over Night” if I can get signed waivers from the sisters involved (just kidding – about the waivers). One year’s theme was “HoDown”, which was a hoot. Then there was “Ho Lotta Lovin” around a Valentine’s theme. This year’s theme was “HoDepot” complete with tool belt aprons. We always find a way to tie the theme into our Hoegarden roots. Next year’s theme is island/tropical. 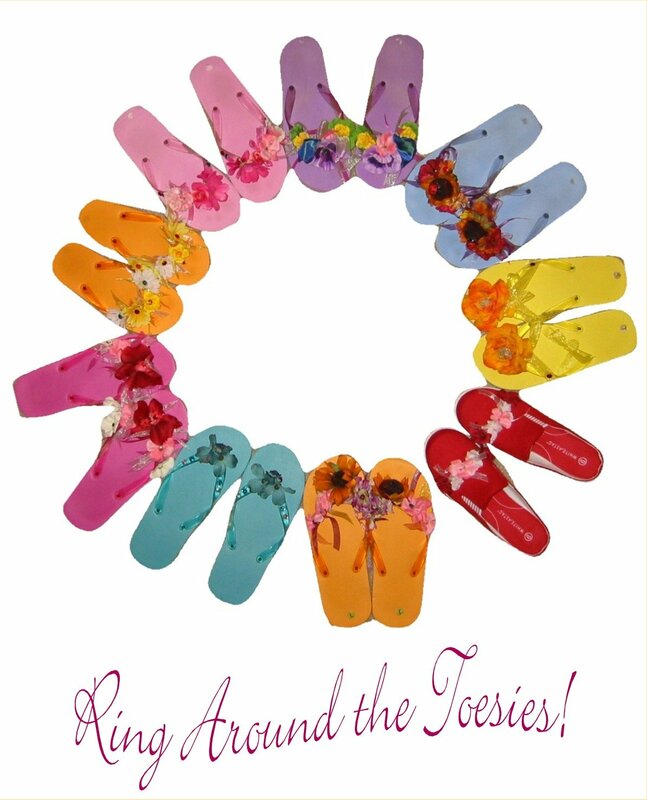 We’re calling it “Hawaii Five-Hos” in honor of the five sisters (see my ‘A Tale of Five Sisters’ tab for more). Can’t wait to see what that encompasses. I’m thinking I’ll make my Hanalei Sunrise muffins and work up a good Mai Tai recipe. I’ll also be shopping for luau decorations and some Don Ho music, or maybe soundtracks from “Blue Hawaii” with Elvis (or not). One thing we love in this family is a good creative challenge. I can’t wait to see what the sisters, nieces and grandbabies come up with next! 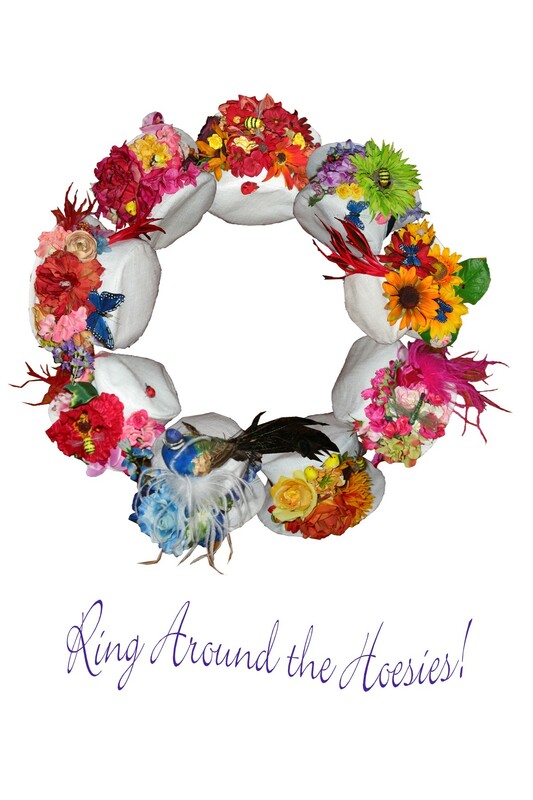 Whatever it is, you can bet it will be tutu fun. Just remember before you start posting pictures – we know where you live! What will we come up with next? The world will never know…oh wait, you’ll tell them! I agree. We are very lucky. The five of us are all very different – different personalities, different likes & dislikes, but when we come together, we fit like an old puzzle. And we also laugh our butts off. It’s hysterical. You should see us after a few rounds of one-handed croquet (played with a drink in one hand at all times). I’m sure everyone in a one mile radius can hear us. It’s a hoot. Besides Thanksgiving and Christmas, it’s the one weekend we all look forward to most each year. With 11 ladies from 4 generations participating now, we’re going to have to consider renting a lodge soon!